Sold and fulfilled by Exborders (4.0 out of 5 | 4,550 ratings). Finger tip amount. Mix. Mess it up. 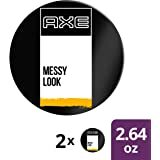 Make Axe Messy Look Matte Gel part of your morning routine to give your hair a tousled look with the medium hold and natural finish of Axe Messy Look Matte Gel. This gel provides both flexibility and staying power to create hair that moves how you want while staying the way you put it. It also allows you to keep your hair’s natural style without weighing it down. 5.0 out of 5 starsPurchased by mistake! Check out the photo to see. But I ended up liking it!!! 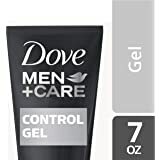 I purchased this gel thinking that I was purchasing the, AXE Spiked Up Look Hair Glue. Both of these gel bottles look exactly the same so be careful when purchasing!!! I will add a picture of how these look very similar. The glue is white and seems to have a longer lasting EXTREME hold. The gel is clear and has a decent hold. 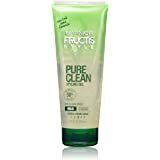 It works good for me, I have thick dark hair and this keep my hair perfect! Even when at the gym! It also dries very quickly! You can easily add some water to it once it’s dry and restyle your hair! My favorite thing about this gel is the smell!! It smells great all day long. 2.0 out of 5 starsPrefer the paste version to the gel version. Coming from the Flexible Paste, I didn't like this product nearly as much. While I felt that it is easier to apply than the paste, I don't like the look. In my very limited experience with gels, they always leave a slick and wet look after applications. I prefer my hair to look more natural and not so obviously done up. Also, the gel seems to clump strands of hair together and cause it to look a little spiky. 5.0 out of 5 starsBest Hairgel Ever. 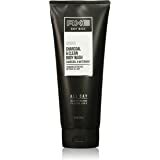 All Fime favorite hair gel! I’ve spent money on all brands and all priced product but this is my FAVORITE. Not to stiff but keeps it in place. 3.0 out of 5 starsEhh..... Not the same as the can version. Comparing this product to the same version of it but in the tin, it's not the same. Not even close! The tin can version has a much much stronger hold than this stuff. I honestly don't use this much unless I'm in a hurry and just need a quick fix up. 5.0 out of 5 starsYup - spike it up! 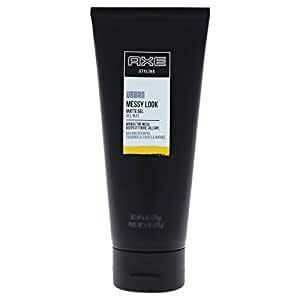 I started using this after AXE discontinued a previous product. This one does give a good spiked-up look, even though it is not very viscous coming out of the tube. I have noticed that the look doesn't survive a night's sleep as well as the previous product but a little top-off in the AM solves this.